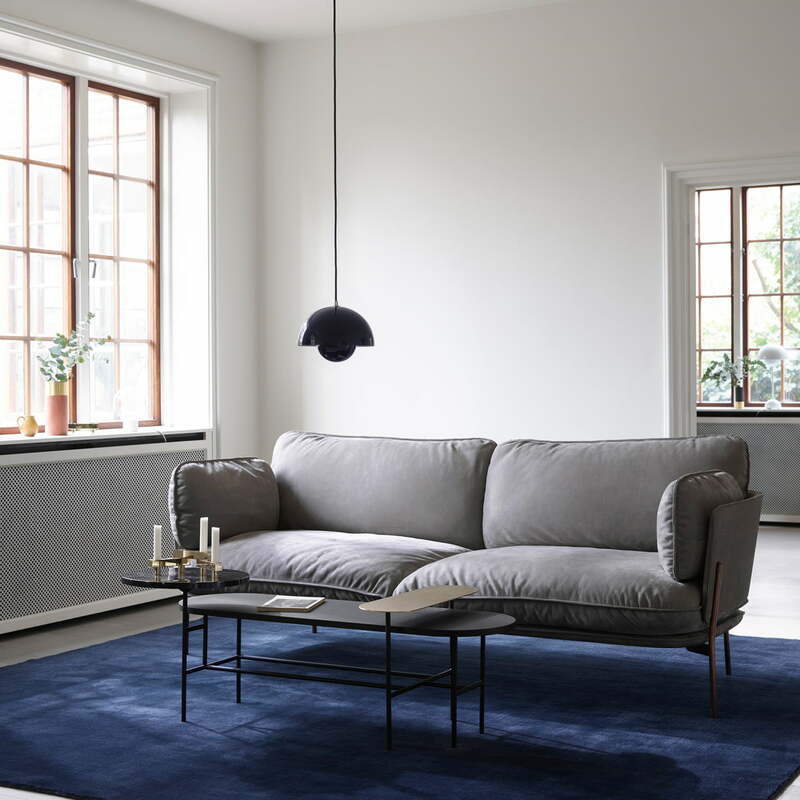 The Cloud sofa LN 3.2 by &Tradition was designed by Luca Nichetto and combines Danish with Italian design. 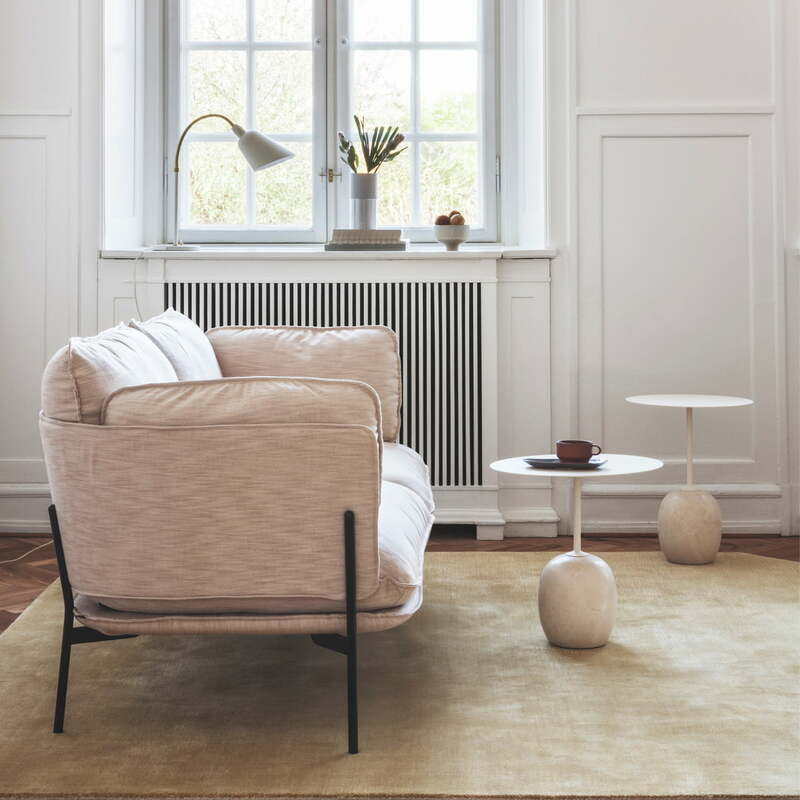 The sofa is characterised by the clear, defined shape of Danish design tradition and features soft, comfortable cushions that are reminiscent of the Italian hills in Tuscany. 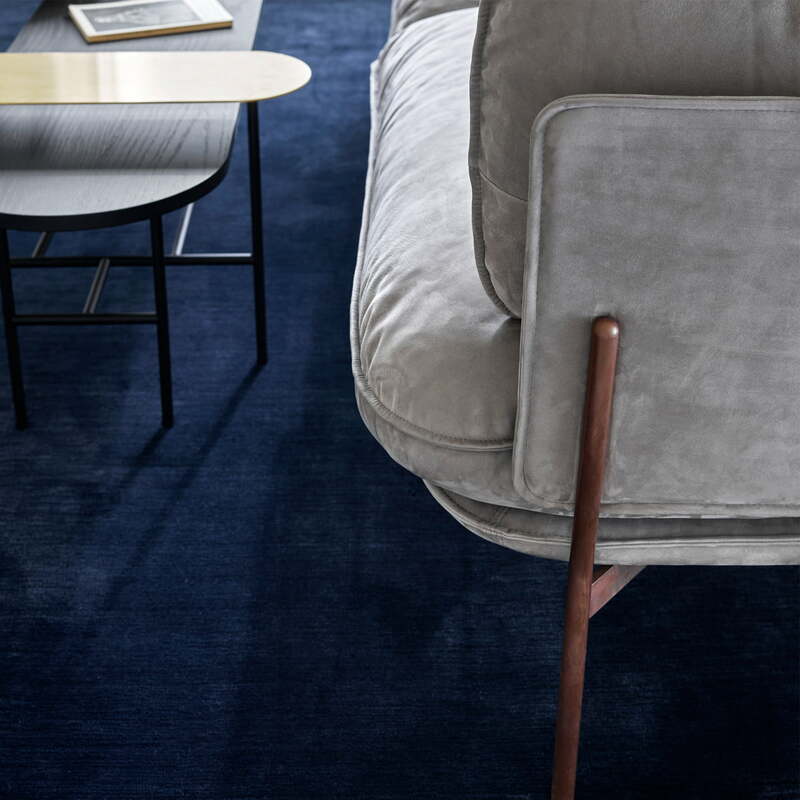 The sofa is part of a series of sofas, armchairs and stools, which are ideal for modern interiors, because they provide maximum comfort despite their small dimensions. The frame is made from form-pressed and CNC milled plywood and the base is built from steel and solid wood. The legs consist of powder-coated solid steel rods and are available in chrome, bronze or black. The frame and base are covered with soft CMHR foam and the cushions filling is made from a mix of HR foam and feathers. The covers are available in various colours. 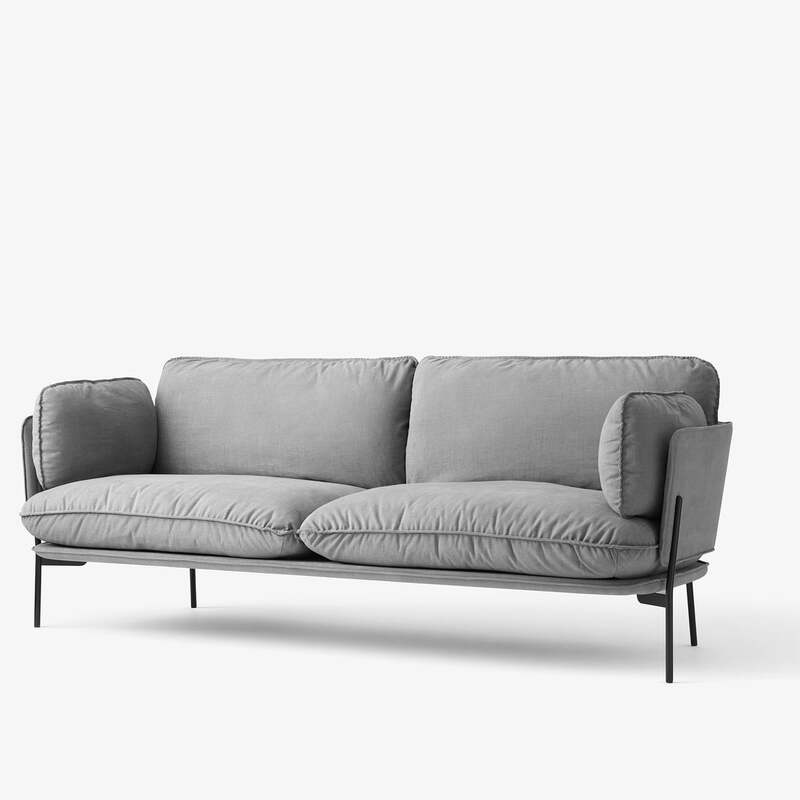 Isolated product image of the Cloud Sofa LN 3.2 by Luca Nichetto for &Tradition with a sturdy frame in warm black and soft upholstery in Hot Madison 724. 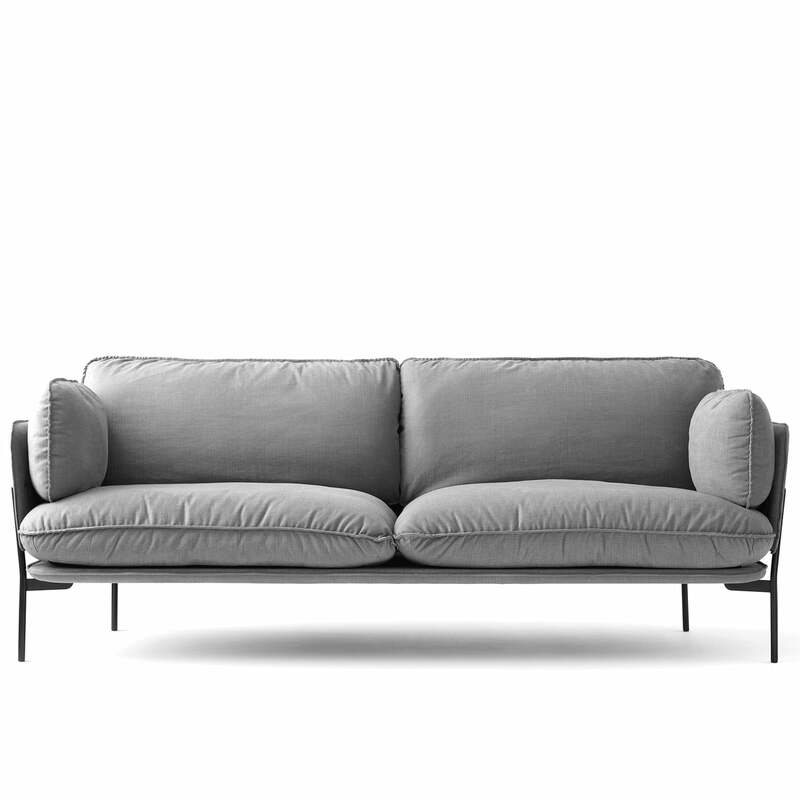 Isolated product image of the Cloud Sofa LN 3.2 von &Tradition: The Cloud Sofa LN 3.2 by &Tradition was designed by Luca Nichetto and combines Danish with Italian design. Back view of the Cloud Sofa LN 3.2 by &Tradition. The sturdy legs are made from powder coated solid steel rod and are available in chrome, bronze or black. 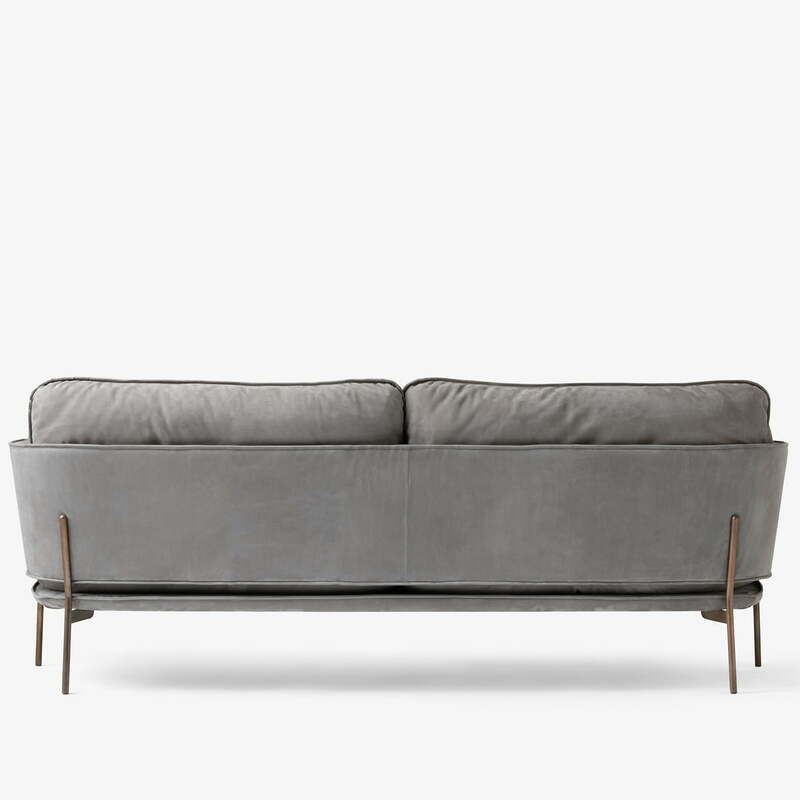 The sofa is characterised by the clear, defined shape of Danish design tradition and features soft, comfortable cushions that are reminiscent of the Italian hills in Tuscany. The frames of the Cloud Sofas LN 3.2 from &Tradition is made from form-pressed and CNC milled plywood and the base is built from steel and solid wood. Lifestyle product image of Lato side table and the Cloud sofa by &Tradition. In light tones, the sofa and coffee table provide a fresh touch of colour in the living area.